If you look at this blog with any regularity, you’ll know I’m interested in family history and railways. On 7th June 1884 an event took place which merges both interests. The location was the railway station at Sevenoaks in Kent. The event was a train crash involving great great grandfather, John Ware. A local photographer recorded the scene soon after this event. John had been driving that leading engine. He and his fireman were crushed and killed. Interestingly the second engine – the one on its side – came off better and the crew survived. 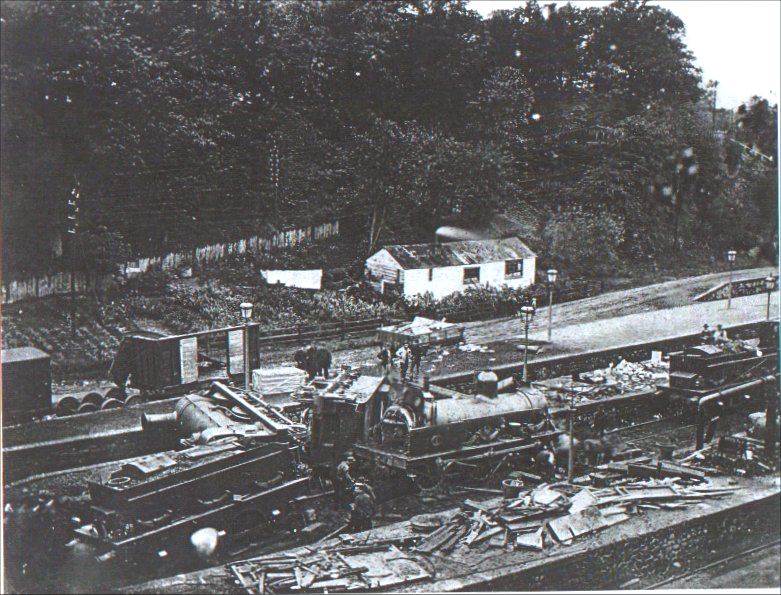 Both engines were hauling the same goods train which ran into another at the station. 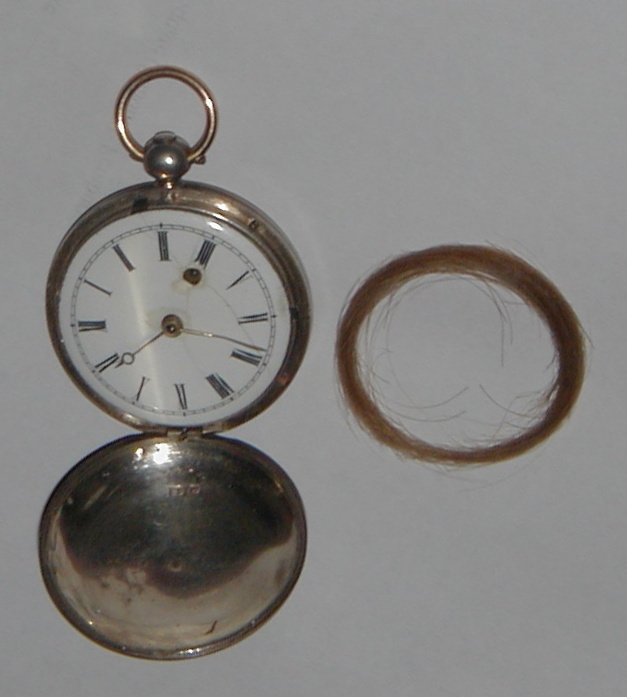 A distant relative has the pocket watch that my ancestor had with him whilst driving this train. So two interests collided with fatal results – and here’s an afterthought. This entry was posted on November 29, 2012 at 6:36 am and is filed under clockwork, Genealogy, railway. You can follow any responses to this entry through the RSS 2.0 feed. You can leave a response, or trackback from your own site. Interesting story, this has inspired me to write an article about a train accident in my family, thanks. I’ll look forward to reading it and I’ll send you an email. John Ware is my Great great grandfather on my Dad’s side. Thanks for the picture, my dad will be very interested. We are compiling the family history and this will be a great addition. I have a photo of John’s daughter, Sarah. Fantastic to hear from you. I’ll be in touch by email for I have loads more info. I think you and I are half third cousins. We share John Ware as an ancestor but you descend from his first wife and I come down the line from his second. John Ware was my great, great, great grandfather. Thanks so much for an interesting account! Interestingly, on another post, you have a photo of Ethel Jane Groombridge, who was my great grandmother! My mum was so happy to see that photo! Thank you!